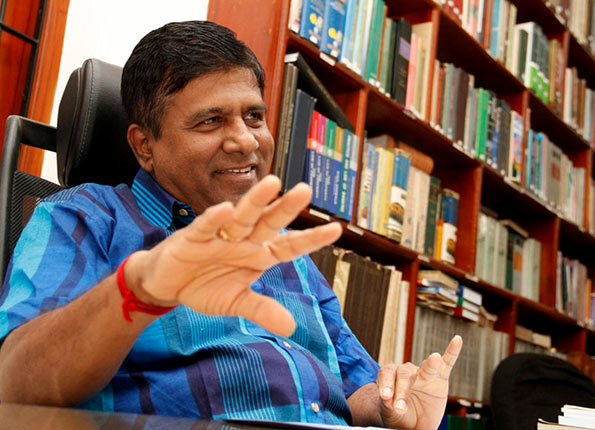 There are serious allegations and news reports regarding the destruction of archaeological sites in the country and information has been circulating with the intention of instigating racial and religious tensions by certain unscrupulous elements, Higher Education and Cultural Affairs Minister Wijeyadasa Rajapakshe said. Making a Ministerial statement in Parliament yesterday presenting the data pertaining to the destruction of archaeological sites, under the Antiquities Act, from January 01, 2016 to July 2018, he said during that 2 ½ year period 36 incidents of stealing of archaeological artefacts were reported, 75 reports of the destruction of archaeological sites, 515 cases in illegal excavations in search of archaeological artefacts and 51 other cases of violation of the Antiquities Act were reported totaling 677 such incidents. “Today, there is a hyped up theory being spread that the most number of destruction of archaeological sites is taking place in the North and East. However, the statistics indicate otherwise. The most number of offences have been reported from districts with a majority Buddhist Sinhala population. In Anuradhapura, 178 such incidents of archaeological destruction were reported, Kurunegala 75, Monaragala 58, Badulla 41, Kandy 36, Matale 28, Polonnaruwa 28, Hambantota 26, Gampaha 23 and Ratnapura 23,” he noted. On the contrary, he said the least number of archaeological offences was reported in the North and Eastern provinces. Accordingly, one archaeology offence has been reported from Jaffna, Mannar and Killinochchi three each, Mulaitivu 5, Batticaloa 6, Ampara 20 and Trincomalee 26. He noted that there are extremist elements in various areas who try to highlight certain isolated incidents and try to exaggerate them in order to create tensions between races and religions for ulterior motives. “The highest number of such archaeological offences was reported from Anuradhapura and Kurunegala clearly highlighting the fact that the media has been misled and in turn have been misleading the public,” he said, adding that the people in these areas are living in harmony and there is a handful of persons belonging to the Sinhala, Tamil and Muslim denominations who are unable to bear this peaceful coexistence and are trying to create racial and religious discord by spreading false information. The Minister noted that the gravest offence of the above mentioned offences is the theft of archaeological artifacts. Further, referring to a headline in a prominent Sinhala newspaper, he said that it had reported that a group of students at the Vavuniya University were not allowed to keep their Buddha statues and they were suspended for violating their basic rights. Clarifying the incident the minister said; “However, the headline clearly implied that the Buddhist students did not have the opportunity to even have a Buddha statue with them and practice their faith in the North and East. There are students representing all four religious denominations studying at the Vavuniya University. The truth is bitter, my dear Minister. The statistics are great, indeed. It is always the Sinhala Buddhists digging their own grave.